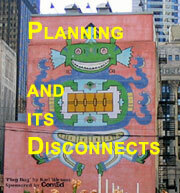 Repeat- Writings on Architecture: Endgame - Is the Fix in for the Farwell Building? Endgame: Is the Fix in for the Farwell? The end of the Farwell Building is as close as March 8th, the date of a special Commission on Chicago Landmarks session called to reverse a January Commission vote stopping the Farwell's demolition. 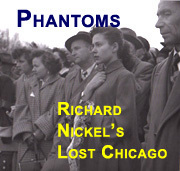 [February 27, 2007] In January, to general astonishment, the Commission on Chicago Landmarks flashed a bit of backbone and voted down a Planning Department proposal to demolish the landmarked Farwell Building on north Michigan Avenue. A special session has been called for 9:00 A.M. on Thursday, March 8th to reverse the January vote. Of course, it's phrased as a "revised" proposal, but that so-called revision is simply a pretext. The substance of the proposal remains identical: "the Dismantlement, Demolition, Repair and Reconstruction" of the Farwell, just like in the January motion. The January motion was voted down on by a vote of 4 in favor, 3 opposed, and with Commissioner Ernst C. Wong abstaining. Since a majority of all commissioners present is required, the motion failed. Commissioner John Baird did not attend the January meeting. If he votes 'Yes" on March 8th, that would be enough to pass the motion. The city has undoubtedly also been putting the screws to the commissioners who had the audacity to challenge the Department of Planning's wisdom. It would not be surprising to find additional testimony introduced that portrays the building as not just falling apart, or on the point of collapse, but prone to chasing pedestrians down the street and beating them senseless. 42nd Ward Alderman Burton Natarus is fond of lecturing preservationists that there is no double-dipping when it comes to considering a building for landmark status. If the proposal fails, it fails forever. When it comes to destroying a landmark, however, it's open season for double, triple or however many dippings may be required to get the job done. Natarus, of course, testified in favor of the demolition. "The building is so dangerous right now," said Natarus "that unless something is done it could be designated a slum." Natarus has staked a position that he generally opposes designating a landmark against the wishes of the owner, and when it happens, it's even odds he'll begin describing the building in question as "falling apart." If Natarus had his way, the only buildings that would be landmarks would be the ones that don't need it - that have supportive owners - while those most in need of designation - those with owners whose only intention is to destroy the building - would be left completely unprotected. "I’m worried about the shoe store," Natarus disgressed at the hearing, as he is wont to do. "What do we do about the shoe store? The person who owns that shoe store . . . is a very fine gentleman. This is going to be one of my topics of conversations . . . to find a reasonable location for this very fine shoe store." Natarus may be the City Council's most endearingly - and genuinely - sentimental member, but, for the moment, skip the sentiment. Follow the money. Natarus is a notorious frontman for developers. A quick look at his state filings shows that his campaign coffers are filled to overflowing with contributions from developers and other real estate interests. The giant Lakeshore East development, along with the families of its developers James Loewenberg and Joel Carlins, have kicked in at least $34,000. You can find almost every major developer repeatedly writing large checks, as well as most of the city's most prominent architectural firms. Lucien Lagrange Architects, the firm behind the proposal to destroy the Farwell for its own design for Prism Development's 40-story Ritz-Carlton Residences, has given Natarus at least $6,000.00. [Let's hope Natarus is equally solicitous of the needs of another tenant that stands to be displaced by the new tower, the hugely popular Garrett Popcorn shops, which has made several $1,500 contributions to his campaign.] Overall, Natarus stands to raise well over $700,000 for a job that pays $98,000 a year. Natarus is up for re-election tomorrow, February 27th, and is facing opposition from Brendan Reilly, a former policy analyst for Illinois House Speaker Michael Madigan. No doubt many of my readers are bored to tears about my continued writings on this issue. Please believe me: I don't mind being obnoxious, but to be boring pains me deeply. I apologize, but I write not so much because of the loss of Farwell, which would be unfortunate, but because this proposal will set a precedent that will decimate landmarks protection in Chicago. 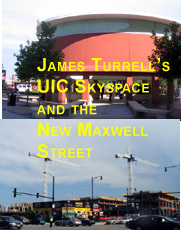 If the Farwell is destroyed, the message will be broadcast to every developer in the city. If a landmark is in your way, find some consultants that will uncover major problems with its facades or elsewhere - when you're dealing with buildings that are 80 or a hundred years old, you probably won't find that too hard to do, completely above board. Present a proposal to Landmarks, with the Department of Planning greasing the skids, sorrowfully concluding that there is no other option but to destroy the building. Throw in a sweetener to make you look reasonable. 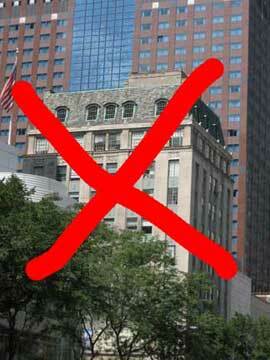 Today, it's remounting the landmark's facade, but over time you'll be able to get away with saving less and less. And if the Commission balks, just point to the Farwell precedent, and take them to court. The law will be on your side. And if you don't think that's exactly what will happen, you don't know how power in this city works. Read the full story of the battle over the Farwell. Read and join the spirited discussion on this story. © Copyright 2007 images and text Lynn Becker All rights reserved.